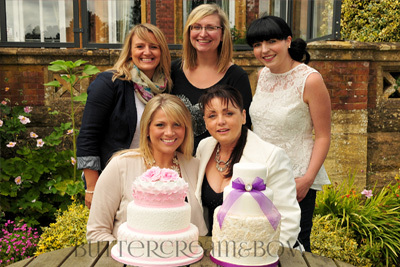 Are you dreaming of starting your own Cake Making Business, or have already started. Want to know how to make your business a success? Whether you’re just starting out or you’ve been running your business for some time, we’ll teach you what you need to know to make a real profit from your cake decorating business. Turn your Passion into a Profitable Business by avoiding the Pitfalls. As successful established Business Women we have been on a journey over the past three years and want to pass on all the advice and guidance we can give you to make your business legal and a success. Setting realistic expectations in order to realising your dreams. Managing Your Business From the Start – What type of Company am I and how do I set it up. Marketing & Advertising – Online and Offline .What is your customer Acquisition Cost? Developing a pricing structure – How much should I charge? During the day you will hear from Professionals who are already running their own successful Cake Business’s, Web Site and Social Media Experts, and have the opportunity to quiz to a Business Banking Manager about the support Banks can offer. This Class is a must in order to avoid costly mistakes and to take your business years ahead.